Home New iPod nano or Shuffle? New iPod nano or Shuffle? 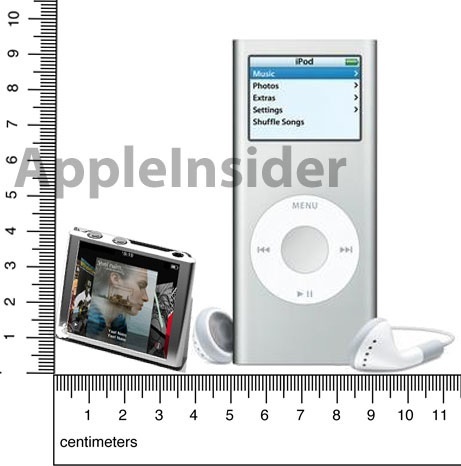 Mockup comparing possible next-generation iPod nano form factor to 2nd-generation model(AppleInsider) Here is a picture of the possible new iPod nano or iPod Shuffle. This is in comparison to the 2gen nano and if its true it will be all touch screen. Pretty tight if you ask me.